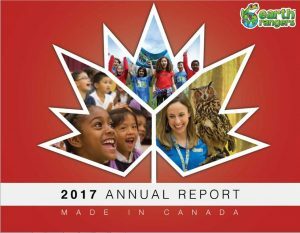 Our inspiration for this report came from the tens of thousands of members and partners from all corners of the country, who celebrated Canada’s 150th year by experiencing and protecting our natural heritage. We encourage you to take a few minutes to read this report and be inspired by Canada’s future leaders. Thank you for your support!